TWO couples needed to start on April, 28th please! Hi, I am Tina, originally from Europe, living in Thailand for many years. I have dedicated my life to the wellbeing of strays on the island and founded our organisation in 2012. Besides of caring for our currently 32 grown shelter dogs plus recently added 5 orphan pups, and another 15 at our so called Foster house, I am feeding/treating countless strays on the streets and beaches every single day! We spay/neuter for free, also offer free treatments to locals who can't afford the vet! We try to find the best forever homes possible, both locally and abroad for as many dogs as we can. In 2016 we started building a small emergency shelter/sanctuary to give a save place to those who won't be able to survive on the streets on their own: pups that lost their mom, injured dogs from accidents, hurt and mistreated and abandoned pets left to their own. 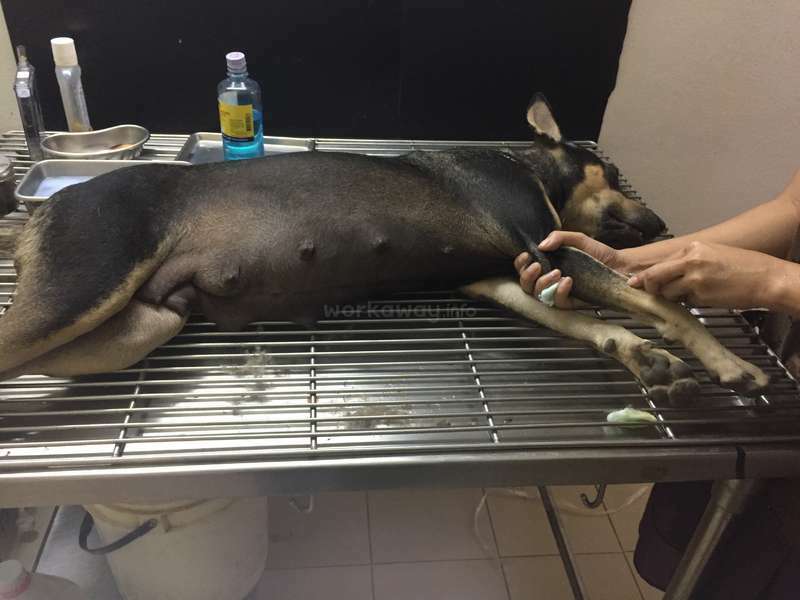 Spay/neuter is my main goal to end the suffering and reduce the island's stray population in an ethical & humane way. Our shelter is a small sanctuary where we care for currently 32 dogs and the mentioned 5 orphans.. we have a no 24 h kennels policy and many of our dogs run free within our walled premises, those dogs that don't get along well are seperated from each other by fence, those that live in one of our huge roofed runs get out atleast once a day. The shelter houses a small treatment room for visiting vets to treat /neuter/spay strays, and owned dogs in need. 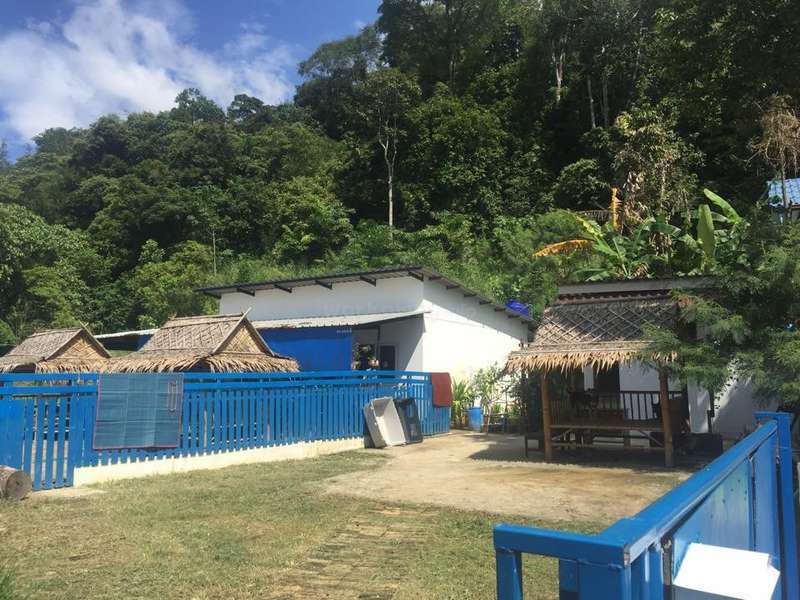 We offer 3 simple fan rooms with a shared bathroom, located opposite the shelter and a simple aircon apartment w/o kitchenette that fits best for volunteering couples and it is just 3 walking minutes away. A third simple room that fits a couple or two close friends is available also but it is 10 walking minutes away. From logistics, and since we are a non profit stray dog rescue, relying entirely on donations and by hosting 4 -6 volunteers at a time, we can't afford to provide meals BUT instead we offer free unlimited drinking water, coffee and tea in the rooms and during the 4 daily hours at the sanctuary, plus unliimited, fresh tropcal fruits daily in the shelter while you are on shifts taking care of the dogs. Come and see by yourself, experience beautiful island life with adorable rescued animals in tropical & beautiful surroundings of a beautiful Thai island (marine) natural park. We are about 5 h away by bus from Bangkok and about 2h from Had Lek border to Cambodia. Work and interact with locals and travelers from all works of life. IMPORTANT, CAREFULLY READ TO THE END before applying!!! THANK YOU! Looking for dog loving people all year around, just no party people please and you guys should be at least about 25 years of age. We are NOT a doggie kindergarden nor a doggie petting zoo!!! Our dogs are rescues, and although all of our furies are friendly there might be occasional minor fights that need to be broken up! Walking the dogs is an important part of the job, but it is only possible if we have enough staff and volunteers available to take care of the shelter and our furry friends while you are on walks with one or two doggies. We would love to host kind, easygoing and responsible, highly motivated people who have a true love for dogs and know how to take care of them in ALL aspects of their wellbeing and happiness! Socializing, walking, lead training... de-ticking, sometimes also dog food cooking, assist with vet visits, (beach) walks, playing with the dogs and taking care of them, cleaning the runs from pee and poop ... looking after the puppies, ill and injured (if any) which of course requires also cleaning up poop, pee and vomit. Some general cleaning and keeping the entire place neat & nice is also be one of the main tasks. 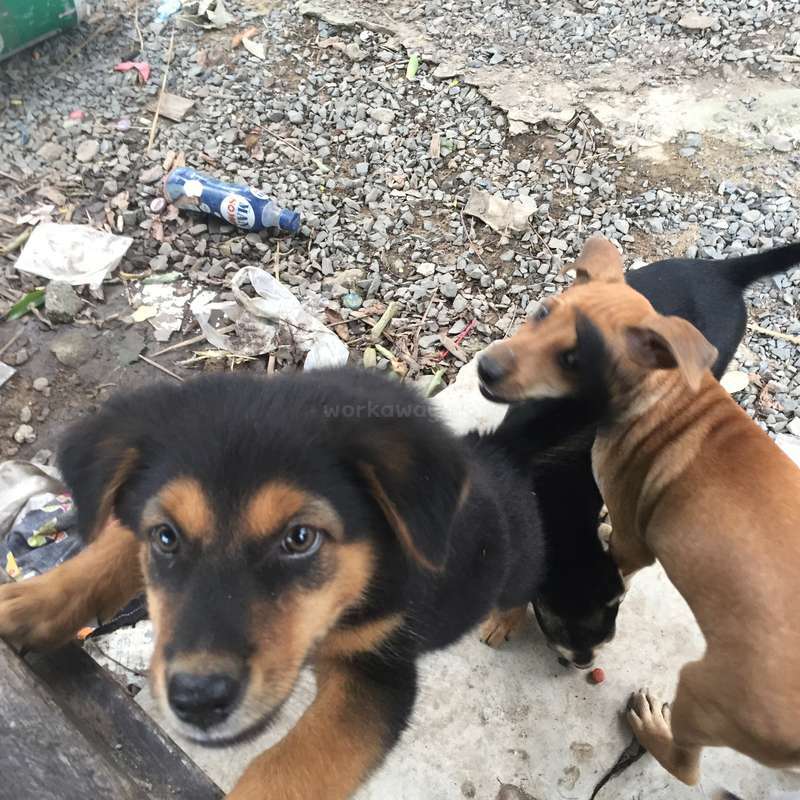 Our dogs all are friendly with nice personalities, most came to us as puppies - but with currently 3o all in one place, there might be some minor fighting from time to time, so we expect that you are not scared to break up minor fights and to manage noisy barking to avoid complains from the shelters Thai neighborhood. Please understand that our shelter is run entirely by volunteers such as yourself and that we have to count on your punctuality, reliability and responsibility! I am a full time and highly dedicated dog rescuer and besides of my very important street work spay/neuter and helping strays in need 10 -12 hours every single day, I do all the office work, book keeping, volunteer coordination, mass communication with the public, adoption coordination, social media and website updates, fundraising, the list goes on and on, so please don’t expect to see me at the shelter much often. Applying with us, you commit to stay for the duration we have agreed on; 2 weeks minimum pls, if you are not, you'll put us in a very difficult situation, resulting in letting the dogs down that we are caring for. Volunteering with us is most certainly not a holiday, although you’ll work in beautiful, tropical surroundings, it's work, although a very easy and extremely rewarding and really a fun work. Located few walking min. from the Shelter. 1. small house w 2 rooms each with a single bed and fan, locker, shared bathroom. Use of well equipped kitchen /fridge at the shelter is possible. 2. Apartment for couples or 2 close friends equipped with a kingsize bed, aircon/fan, bathroom w. hot shower. 3. Simple room to suit 2 friends or a couple 10 minutes walk from the shelter. 4. 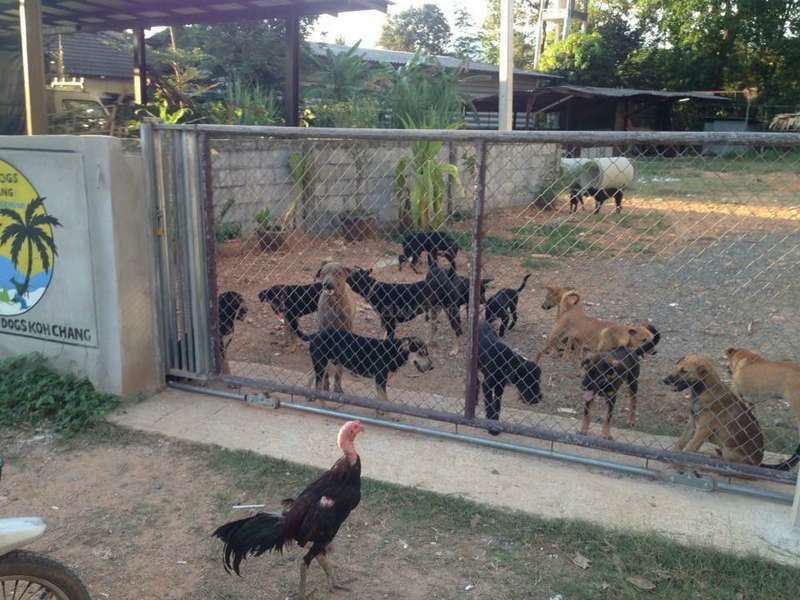 Foster home, taking care of 16 dogs in a rural Thai village environment, for a couple or single person having a beautiful small Thai house in a huge fenced garden all on your own. 5. Foster home 2. taking care of 2- max 4 dogs that have been adopted and will be trained here fir their final travels to be reunited with their adopters: lead, crate and house training, playing with and socializing them more. Located next to foster home 1. Koh Chang is the second (some say third) largest island of Thailand after Phuket and as part of a (marine) national park, there is lots of things to do and see during your time off; jungle trekking, exploring numerous waterfalls, diving, snorkeling, enjoying some if the most beautiful beaches, visiting the neighboring islands, mangrove forest walks, thai cooking classes and the list goes on and on... pls note that during low season - not all activities are available. Bicycles and Motorcycles can be rented all over the island and pick up taxis stop and drop at every village/beach starting from 50 to 100 Baht. From countless volunteers that have been with us, very few really stand out and came with the aim to help with our cause rescuing dogs and helping us to make a difference! Luke definitely has been one of the fab. few, certainly a huge dog lover with a great understanding and a big heart for animals and our 4 legged rescues in particular. I… read more highly recommend Luke to every host who wishes for a friendly, honest, reliable and very dedicated volunteer with common sense who is even willing to work some extra hours if needed. He’s always in a good mood, great with people, and no work is too much. Luke worked happily in a team but also independently and didn’t needed any guidance or supervision once told the chores and daily tasks in the shelter and later in the foster house. He even studied various dog related books and youtube videos while with us, to learn even more about dogs and their behavior, and how to work with and train them. He also has some awesome building skills from previous jobs in construction/carpentry and has been of great help in this field fixing things. We were sad to have him leaving, and he will be always welcome back with open arms. This was my first Workaway experience and what a great experience it was! 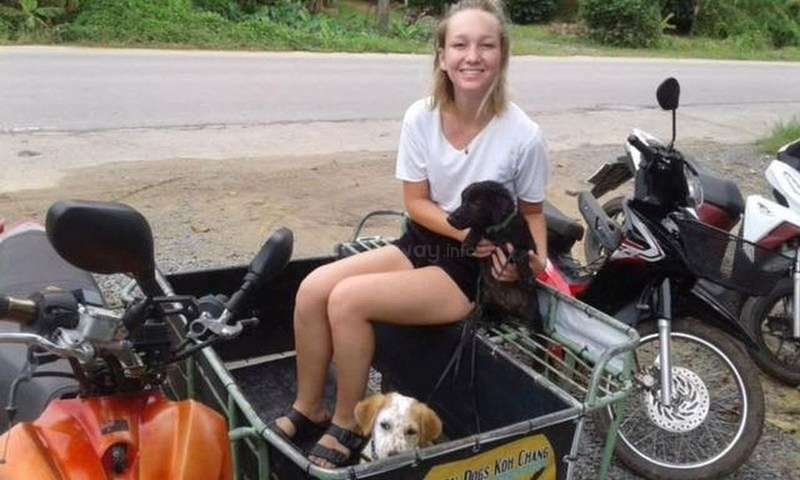 Tina truly cares about all the dogs on Koh Chang and is literally devoting all of her time and energy to them, because of this she can't be at the shelter as much as she'd like (as it says in her profile). While volunteering my tasks included dog walking, washing, giving… read more medication, training, general maintenance and cleaning. 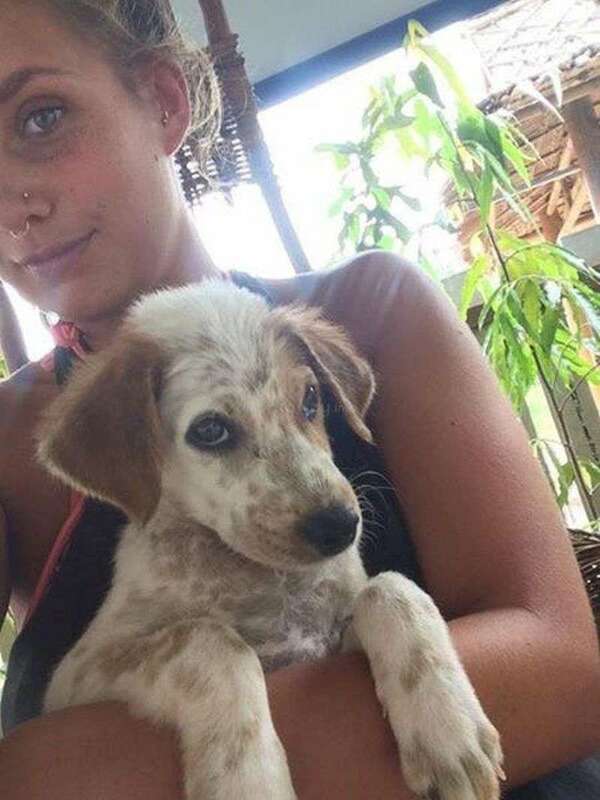 I stayed for just over a month and half way through I was lucky enough to move into one of the "foster homes" where I had the amazing opportunity to train two dogs who have now been adopted and flown to Switzerland and Germany. I learned A LOT about dogs while here and has inspired me to try and help them whenever I can. Thanks Tina!! This isn't like playing with puppies from your home country, some of these dogs can have a "wild side" especially when living in a pack at the shelter. 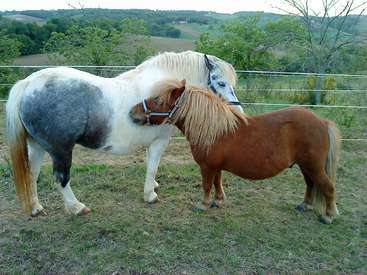 Although they can also be extremely affectionate. If you really care about dogs, please do some research and educate yourself on dog psychology before you arrive (I highly recommend anything by Cesar Milan, his books or just search on YouTube). You will most likely be the only person at the shelter at times and will need to be the alpha and take control of situations, you can't be scared. Be patient and let the dogs approach you, it can take some time for some of them to trust you but when they do it's an incredibley rewarding feeling! Lastly, know that by volunteering here. You are really helping immensely and doing a really great thing. THANKS!! Thank you very much to Tina, Agnes, Egoitz and all the volunteers who… read more have taught and been taught by us. We wish everyone and all the dogs the best of luck in the future! We had a great time volunteering at the shelter. Tina was very nice and she truly cares about all of the animals of Koh Chang! She is not there all the time, but checks in often and is always reachable. It took a couple shifts to learn the routine and for the dogs to get used to us, but after that everything was great! It was so nice to hang out… read more with all the lovable dogs everyday, we miss them a lot! We had a nice apartment to ourselves just 5 minutes walking distance. If you are a dog lover, I would definitely recommend coming here. Tina, best of luck with everything and we hope to come back and visit again! 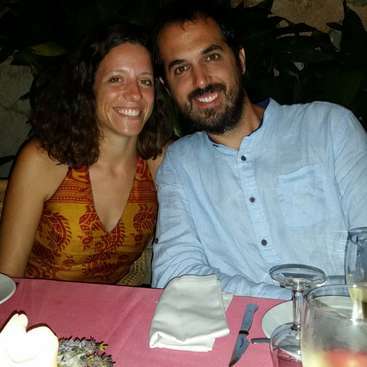 This was our first workaway and we absolutely loved it! We got to spend 5 hours + a day with some beautiful and loving dogs and really help them in getting used to collars/Leads/ bath time etc! Some of the dogs had never seen a collar or even been on a walk before so it was an amazing moment when we accomplished this! Volunteering for Tina was a pleasure. All of the dogs are so beautiful and have amazing personalities. You can expect some dog fighting, cuddles, licks and lots of poo. But it is all worth it to know these dogs will have a better life now they are off the streets. I would recommend volunteering here but you should know that this shelter is run… read more mainly off volunteers and 1 full time worker so things can become a little unorganised sometimes so its important to keep an open mind and understand the hardwork that goes into running a shelter with 30 doggies! The accommodation is simple but cosy and the island is truely beautiful! Our experience here was truly amazing. We loved the work with the dogs and around the shelter. There are many tasks todo and you will never get bored. Beside giving the dogs a lot of love you can always clean the shelter non stop. We loved also to train one of the dogs a bit and took care about three puppies in our apartment. I can highly… read more recommend this place. I found out about this opportunity online almost two years ago and it was the most beautiful experience ever! It was our first time volunteering with dogs and from that moment we have continue doing it in different countries. 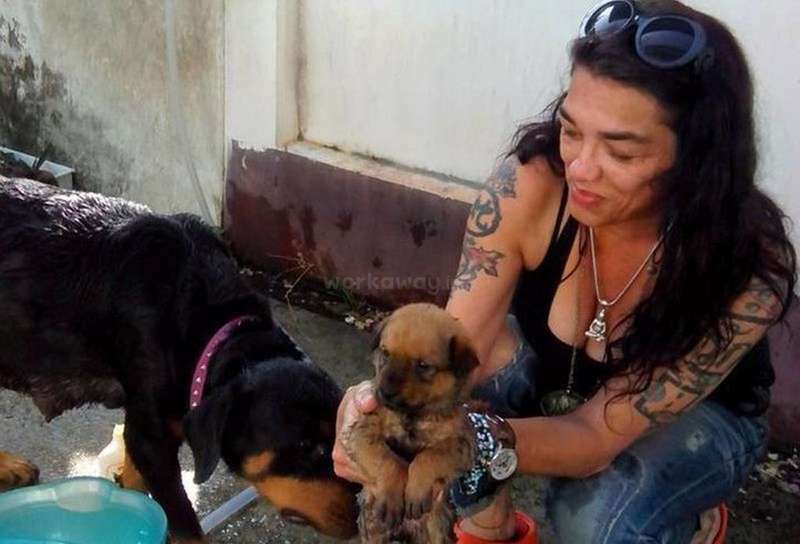 In that moment there were around 33 rescued dogs all of them very different. Our main job was give them love and feed them,… read more as well as giving medicine to some of them (like 8 ) that we’re recovering And some cleaning in the shelter. The apparment we stayed in was absolutely comfortable. What an awesome experience to settle into this remarkable location between a warm ocean and tropical jungle, surrounded by friendly people, both volunteers and the locals. I was very curious to understand what was involved in managing a pack of adult dogs, so different from the solitary confinement approach at the rescue I volunteer at in… read more California. The short answer is that it takes active management, both from setting up the environment to and knowing the individual dog personalities to avoid and resolve conflict. I learned a lot from the other volunteers and from experience. I treasure the memories of taking a break from chores on one of the bamboo shelters spread out through the facility and having 6 or more dogs join me to just chill and enjoy each others' company. I highly recommend this destination for someone with confidence around dogs that are not as easy to figure out as a laid-back family pet and with reasonable expectations about living standards. Being able to proactively identify tasks that need to be done without close supervision is another requirement. There are the basic cleaning, feeding and calming chores and then there are the discretionary activities like brushing, bathing, walking, leash training and facility maintenance. I have zero regrets about this Workaway trip, the minor issues were far outweighed by the positive aspects of the experience. I had an awesome time here! There are around 30 dogs at the shelter, all with their own personalities, each of which you will come to know and love. Oly knows the dogs like the back of his hand and will help you manage them and prevent fights! The work is not difficult - feeding, cleaning, filling water, walking and you will spend a large part of… read more your time playing with and giving love to the dogs. Shifts are short and there is plenty of time for exploring Koh Chang. However there is always more work to be done, just ask Oly or Tina! Accommodation is basic but sufficient and a good position to explore either the East or West of the island. I loved my experience here and only wished I could have stayed longer. I miss the team and of course all the beautiful furry beauties!! The work they do here is valuable and Tina and Ralph are constantly working hard around the island helping all the many dogs. I spent almost a month volunteering here and had a great experience! The work itself is not difficult- cleaning the shelter, feeding, and walking the dogs (and of course plenty of time playing with and cuddling the dogs!). There are a lot of different temperaments and personalities, but Oly knows the dogs very well and will teach you a lot! The… read more accommodation is very basic but sufficient, and you’ll have plenty of time off to explore the island. If you’re a dog lover and not afraid to get dirty then I would definitely recommend volunteering here. The dogs are great and I miss them already! I stayed here and worked at the dog shelter in April 2017. It was a very good experience and a loving time helping the dogs :)) The work was not too hard, and after a few days you were well adjusted to the routines and the dogs individual needs. Tina was easy to get a hang on when needed and i would definitely go back if im going back! I've just finished my last shift at Tina's shelter and I couldn't be happier about this experience. 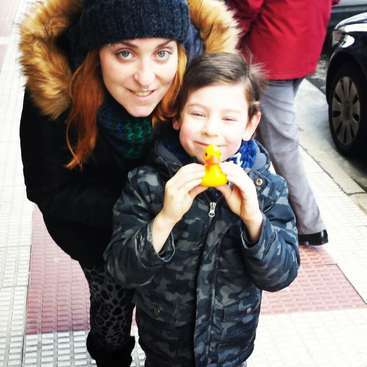 This was my second workaway, coming from a bad first experience, and I was a bit apprehensive, but as soon as I arrived at the shelter, I knew this was going to be great! The dogs are amazing, there's a very good vibe among the volunteers, and Olay… read more is a very interesting person and can give you many insights on how to train dogs. I honestly became fond of every dog in this shelter and enjoyed all the sunset watching with them. The acommodation is very good, right next to the shelter, and there's the cutest neighborhood dog that kinda became the volunteer's house dog, that will visit you all the time, I named him Doggo and we were best buddies. I am already thinking about coming back here and I haven't even left yet. Plus Ko Chang is stunning! Thank you very much for everything, Tina! 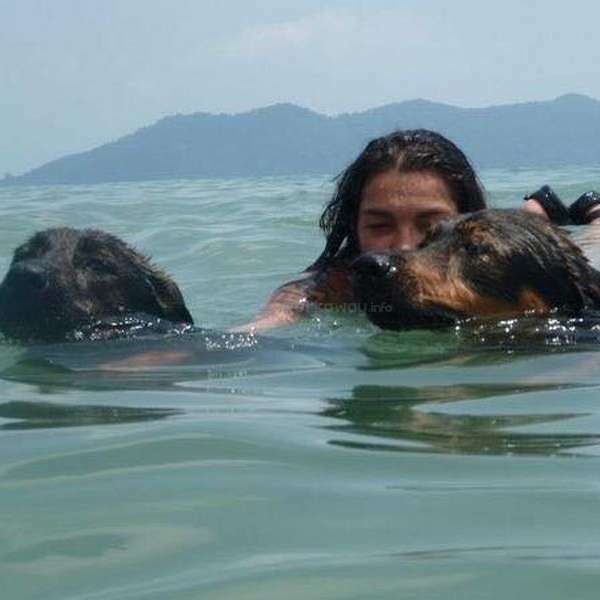 These dogs are truly lucky Dogs! I stayed 3 weeks as a shelter volunteer and had a good time! The accommodation was simple but sufficient, a lot of restaurants and cheap local food stalls around, and this place is simply magical. It was very interesting to spend time with a large group of dogs living together as a pack, you learn a lot about their social structure and… read more interactions. Huge thanks to Tina, Oly and Ralph, they are doing really an amazing job! This was our first work away and it couldn't be better! 3 weeks of good time with the doggies in a beautiful Thai house placed in a beautiful and quiet island, what else you can ask for!!! We just left yesterday and we miss all of them. Also we want to thank to Tina for the opportunity, she is an amazing person who really cares about the dogs,… read more always working for them, shelter dogs, stray dogs and even for the neighbors dogs! For sure we'll come back again! I got to spend a really nice time at the dog shelter. 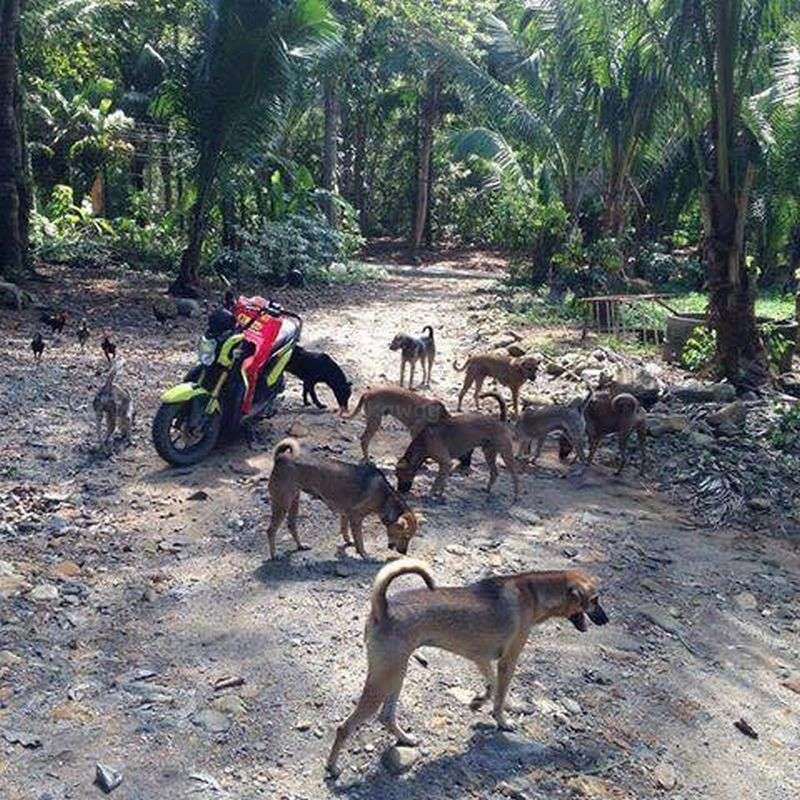 The dogs were all extremely lovely, and the people behind the project put a lot of effort into it so that the dogs on the whole island can all lead a better life. Working at the shelter was very relaxed. As a volunteer you will mainly take care of the dogs by feeding them, picking up their… read more poop, breaking up fights and - of course - cuddle with them. They are all very grateful for any kind of attention they get. I especially enjoyed the time I got to spend with the dog trainer who works at the shelter because I learned a lot from him. Sometimes the communication and the organisation was a little bit difficult due to Tina being busy with taking care of the stray dogs on the island. But in the end everything always worked out fine. I will miss this place dearly. This was a very lovely workaway experience. We stayed at a foster home and were responsible for the daily care of the dogs. They all have their own character and we got attached to them. It didn't really feel like work, but more like they were our own dogs. It was hard to leave them, but we are sure they are in good hands. Tina is a very caring… read more person with a big heart for dogs. Koh Chang is lucky! 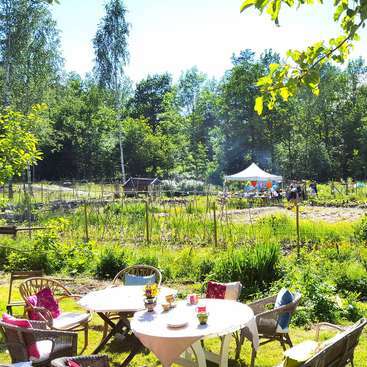 We would definitely like to come back and maybe volunteer here again in the future! Thank you Tina for this opportunity! Such an amazing experience. If you love dogs you will absolutely love it here. I spent 3 weeks and it was so rewarding to spend time with these dogs and get to know all of their individual personalities. Every day I left sweaty and covered in fur with a big smile on my face thanks to them. Tina is an amazing person, you can tell how passionate she… read more is about caring for the dogs on the island. She was always responsive and helpful. I stayed in the house across the road from the shelter-- basic but had the neccessities and very convienent-- less then a minute walk to the shelter and the main road where there are shops and restaurants. The beach is also a short walk away and is where I spent most of my time when not working- It's beautiful and not too crowded. 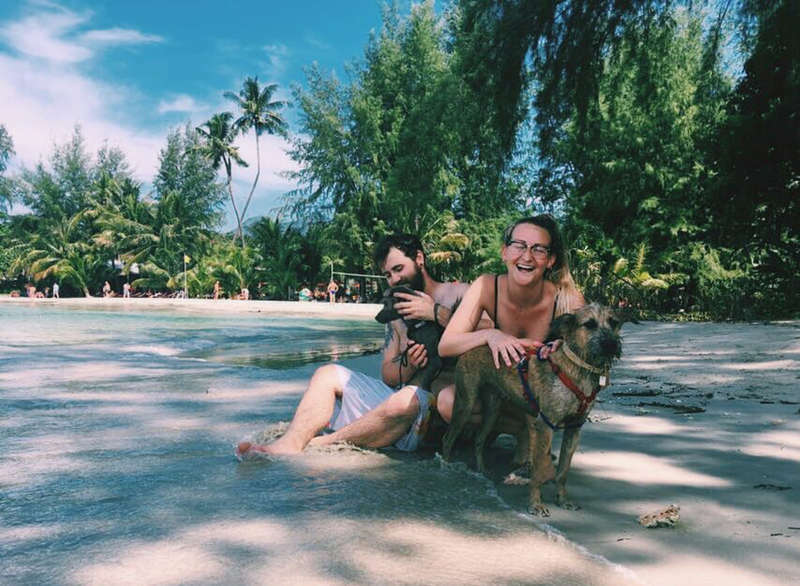 We could not describe what this workaway was for us... we can just say it's completely necessary if you love dogs and a calm life in a amazing island. We spent 10 days feeding and playing with the dogs, they are super affective, they just need love and attention, all of them are special and we cannot wait to came back and have the opportunity to… read more stay there again. We really enjoyed the experience and was hard for us to leave. Tina does and AMAZING work, with so much love, with a lot of sensibility. Thank you Tina, thank you so much for having us and show how the word could be a better place. This was my first workaway experience and it couldn’t be any better. I enjoyed every second with the dogs and it’s impossible not to fall in love with them. Thanks to Tina and the whole team! 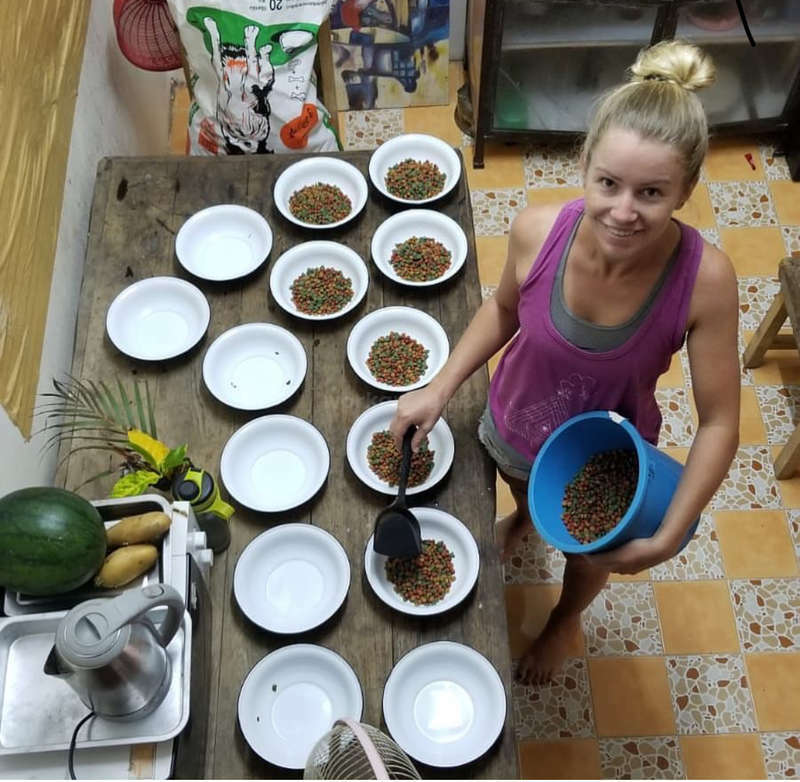 The work is easy: You have to collect poop, clean cages, prepare food, cuddle the dogs etc. The work is really rewarding as the dogs are giving back so much… read more love. Sometimes the little troublemakers may drive you crazy, but if you’re a real dog lover this workaway is perfect for you. The accommodation is simple, but totally sufficient and really good located. 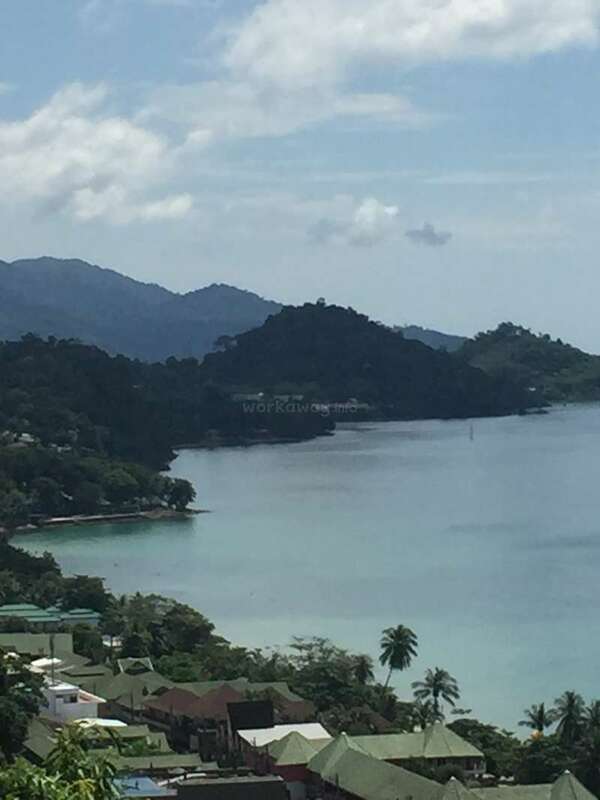 Koh Chang is an amazing island with so many nice beaches, restaurants and bars. You’ll have plenty of time exploring its beauty. I already miss the dogs and I’m planning to come back! This place was a literal glimpse of Heaven. Tina was awesome and very responsive. The work is rewarding and fun, I got to know all of the dogs and absolutely became attached. I think everyone who comes here considers taking one (or many) of the dogs home, I know I did. The accommodation is perfect and the island of Koh Chang is incredible. I was… read more here for about 4 weeks and I learned so much about dogs, knowledge that I hope to use in a dog-centered career. I'm so thankful for this opportunity and hope to come back to volunteer again. If you have the opportunity to volunteer here, take it, it's more than worth it. We had a wonderful experience! Tina is always here to answer our questions and help, the staff is also amazing (Ralf, Oly, Joe). The work is not really hard but you have to love dogs ! The dogs are all very kind and lovely, it was soooo difficult to leave them :( They need a lot of attention and love. You have to take care of them, feed them, and… read more sometimes take them to the beach. The island is wonderful, even in low season, and it is really easy to go there from Bangkok. Even if the association don't provide food, there are a lot of very cheap restaurants all over the island and it is delicious. Concerning the accomodation, it is not very luxious but it is really ok. You just have to be ready for spiders, ants, and even monkeys in the garden ! So if you really love dogs and you want to discover a paradisiac and natural island, do not hesitate to send a message! Thank you again Tina, we will never forget this experience ! This was my first workaway experience and it was truly perfect! The dogs are so loving and all have their own personalitys. Tina, the owner is busy every single out on the streets treating stray dogs etc and you just know and feel her true passion and love for every single dog! It made me believe that this was a very worthy volunteering project… read more and I would 100% return! If you have the chance to volunteer do so, the island is beautiful and has so much to offer in your spare time too! I miss this place!! This was my very first workaway and it was brilliant! The dogs are amazing and everyone who works/volunteers here clearly has a lot of love for them. I was also lucky enough to hear of the adoption of 8 dogs while I was there which shows how hard Tina and the gang work to give these dogs better lives. The two weeks I spent here went so quickly and… read more I wish I could have stayed longer. Koh Chang is beautiful and the only thing I would have changed is the weather but I guess that's May in Thailand for you. Thanks Tina! You're going to fall in love with all the dogs very soon, they are all friendly and grateful for your attention. This makes the stay very rewarding and fulfilling, I could not have been happier. The schedule is pretty relaxed and you get a lot of personal freedom. Own initiative is welcome, as… read more are walks with dogs. Tina and Ralf put a lot of energy in the project and you can feel their enthusiasm, it's very uplifting. The few weeks I got to spend here flew in a blink; I'd have loved to stay more. Thanks for everything! It's been a real pleasure to have Vojta with us for the period of 3 full weeks! An easy going, kind young guy and excellent worker, really pleasant to be around, very friendly, very helpful and a great dog lover aswell!. We had a variety of work here with our rescues in the shelter and Vojta never hesitated to do his best. We were well pleased… read more with his dedication, compassion and hard work and would highly recommend him to every other Host. Thanks heaps Vojta, wishing you save and exciting travels! Fernanda and Amanda, badly missed by team and dogs! These 2 girls are just amazing! They came for 2 weeks and stayed 3!!! months! What would I have done without you girls?! So very dedicated, warmhearted and compassionate, such a pleasure to have them around and the dogs all LOOOVED them! This was our first Workaway experience and I could not have asked for a better place to volunteer! The weather and location themselves are absolutely stunning, but it really is the animals of the shelter and Tina’s hard work the best part of this experience, even they become a real inspiration, the satisfaction to help and be appreciated for that.… read more The work is really fun and you have plenty of time in your off hours to explore all of the wonders in the Island, the lakes, waterfall, amazing beach just 10 mins away. Tina knows everyone around she would help you finding everything and good deals. Honestly, if we hadn't had to leave for a previous engagement, we would still be there and we are hoping to return at some point in the future. Anyone would be lucky to work at this beautiful place with wonderful people and dogs! Pferdefarm in Pays de Lomagne, Frankreich: Aussenhilfe gebraucht!